Doctors Without Borders’ damning report on Kunduz bombing. 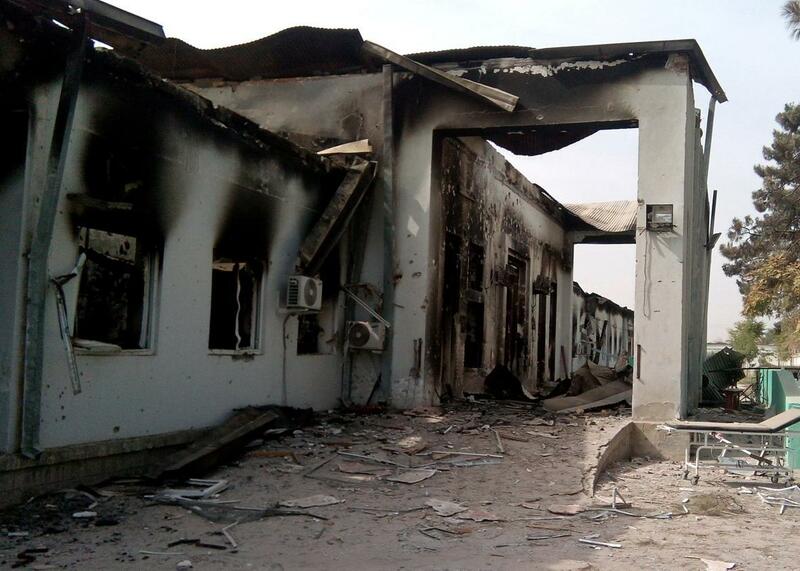 The damaged Doctors Without Borders medical facility following a U.S. airstrike in the northern city of Kunduz, Afghanistan. While still demanding an international investigation, Doctors Without Borders, or MSF, Friday released its own internal report of the Oct. 3 U.S. bombing of a hospital near Kunduz, Afghanistan, that killed 30 people including 13 staff members. The report, based on interviews with staff members, describes the lead-up to the attack, disputing suggestions that the facility was being used by the Taliban, and provides details of the organization’s frantic efforts to get the U.S. military to call off airstrikes. While it has confirmed that wounded Taliban fighters were being treated at the hospital, MSF says that there were no armed combatants in the facility or fighting taking place on hospital grounds in the days leading up to the attack. Even if there were active Taliban there, the functioning hospital wouldn’t lose its protection under international humanitarian law. So far, nearly every account that has emerged since the incident has made it seem more likely that the U.S. military knowingly bombed a functioning hospital. MSF has called for an independent investigation by the International Humanitarian Fact-Finding Commission, but the U.S. and Afghan governments have not yet agreed to cooperate.